We are excited to host Dr. Andy Rummel, Professor of Tuba and Euphonium at Illinois State University, as a guest soloist on our Senior Concert! He will be playing "Deja Vu" by Oystein Baadsvik, and "When Yuba Plays the Rhumba on his Tuba Down in Cuba". Make sure you're up to date with the performance schedule for this Spring...visit the Performance Schedule page now! It's not too early to begin preparing for next year, check back through the semester as music and other documents will be posted to the Marching Info page. Join the EHS Band Facebook Page! Parents and students are invited to become a part of our social community...see what the band is up to! For ourselves and others…RESPECT. For the work we do…PRIDE. For those who came before…HONOR. For those yet to come…EXCELLENCE. WE ARE HORNETS! The Eureka High School Band is a 12-time Class 1-A champion of the State of Illinois Invitational High School Marching Band Championships, the 2008 Governor's Trophy winner, and has been voted the Division III "Band of the Year" by Illinois Marching Online in 2008, '09, '10, and '13. The band has performed at the 2002 Cotton Bowl, the 1997 Liberty Bowl, Walt Disney World, a "Circle of Honor" Festival concert at Orchestra Hall in Chicago, and for several IHSA state basketball and volleyball tournament finals. 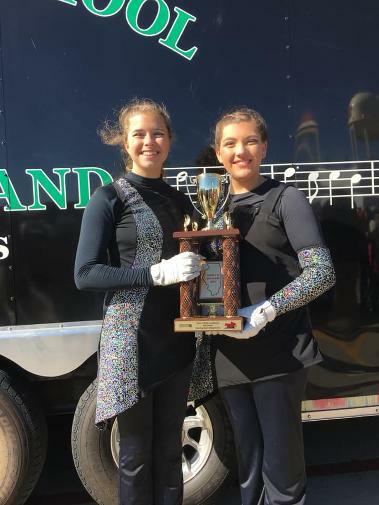 Earning consistent Division I "Superior" ratings at IHSA Organizational Contests, the Eureka High School Band is one of the premiere small-school band programs in the state of Illinois. ilmarching.com marching.com Illinois State University Bands Mr. Stalter "The Composer Guy"